The world of a blind geek must be a difficult one. 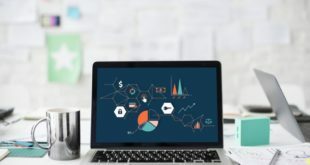 Many of the luxuries we take for granted (watching Star Wars, reading fanfiction, witnessing Steve Jobs unveil the newest device in the Apple arsenal) just aren’t possible for the blind to the extent that the fully-functional among us have become accustomed to. Imagine Star Wars without being able to actually see Chewbacca. The roars are still awesome, but it’s his nuanced facial expressions and movements which make the Wookiee. 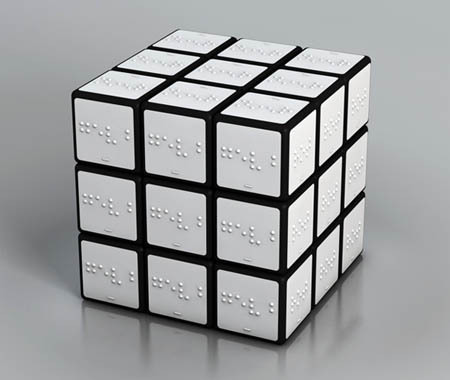 Designer Konstantin Datz has devised away for even the geekiest of the blind to enjoy Rubik’s Cube. Colors are replaced by Braille symbols. In fact, I’m sort of jealous. The stark white shade is actually pretty cool looking. Can it will be easy for them? Normally, a stupid question begets a stupid answer, but it appears your stupidity has reached critical mass. If I don’t stop it soon, it will undergo fission and produce enough stupidity radiation to finish off Japan and give Godzilla an erectile dysfunction. Sir mhaidarhanif, are you willing to risk the (currently pending) lives of Godzilla’s potential future children? Even if they do decide to go to a giant monster sperm bank, that resulting baby giant monster, Little Suzyzilla won’t have her daddy’s eyes or her mommy’s smile. Prick. Now that I have insulted your ethics and your general demeanor, I can finally critically dissect your seeping toxic shitpile of a comment.